Being able to solve FEA problems is a skill, and this skill is trained by knowing the correct process to solve an FEA problem. Those steps are extremely important and if you learn how to develop correctly your thinking to assess each of these steps correctly, you will be able to become very quickly an expert in finite element analysis (FEA). Ask yourself what you want to achieve with your FE Analysis and then establish a clearly defined goal. Are you interested by Von Mises Stresses? Safety factor? or maximum displacement? That’s very important to know that because the analysis procedure will depend on the results you want to get. Stresses for example require finer mesh and much better model than if you are only interested to get displacements. What precision of results do you require? Another important point is to consider if you are doing predictive engineering or failure verification. 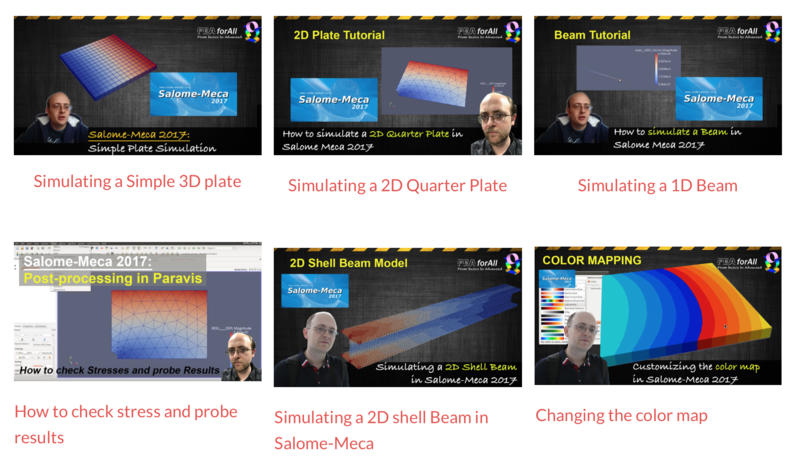 I explain the difference between both in the free fea course FEA foundations. What are the inputs you will require to solving this problem? If you are doing CFD analysis, you may need to know the temperature dependent viscosity, the density and the specific heat of the different interacting fluids. Sometimes you may miss some data and it is tempting to just “Fill the blank” with any parameter that may seem appropriate… but this kind of thinking may lead to big errors if it isn’t done careful with a deep reflection about the quality of the data being used. You have to think also that the loads in real conditions may vary considerably in comparison with the loads in laboratory tests. Some problems can be solved quickly and efficiently with a sheet of paper, a pencil, your head and basic hand calculations… but most of today’s engineering problems are more complex than that and require deep reflexion on the means to undertake to solve the problem in the most efficient manner. Don’t be deceived by the apparent external simplicity of the model… even simple models can be ruled by complex behavioral laws that require advanced computer simulation to be solved. 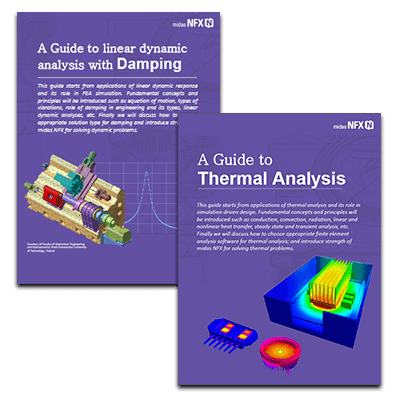 Finite Element Analysis is maybe the most powerful tool available, but you must always consider also that some other methods more simple may be used. You should also try to make the problem as simple as possible by simplifying it using assumptions. What everyone wants is to be able to reach the goal precisely and quickly. Every technological mean you can use to reach this purpose is good. Once you get the results, you didn’t win yet… you have to be sure that the results you get are accurate. Finite Element Analysis used wisely can provide the best possible insights about a product… but if it isn’t it won’t. You can see an FEA Software as a box of tools that can be used in specific circumstances to solve particular problems. You should remember at any instant that, the person using those tools is you, not the software. Which means that if you put garbage as the input, you will ALWAYS get garbage out. Quality of the results comes first from the quality of the input and then a constant verification and improvement of the model which leads ultimately to something close to the reality. Every time you analyze something, you should think about the assumptions you made and how those assumptions may not be totally true in some cases. Then, change the boundary conditions to reflect a change in your assumptions. Well written in a simple way. As an engineer one should know the strength and limitations of the software along with good amount if engineering knowledge. How do I validate the results if I didn’t simply have the data? 1- Find someone who has he data 2- Find a similar project/paper 3- Make a simpler model and compare results with Theory, then make your model progressively more complex and try to keep coherent results.